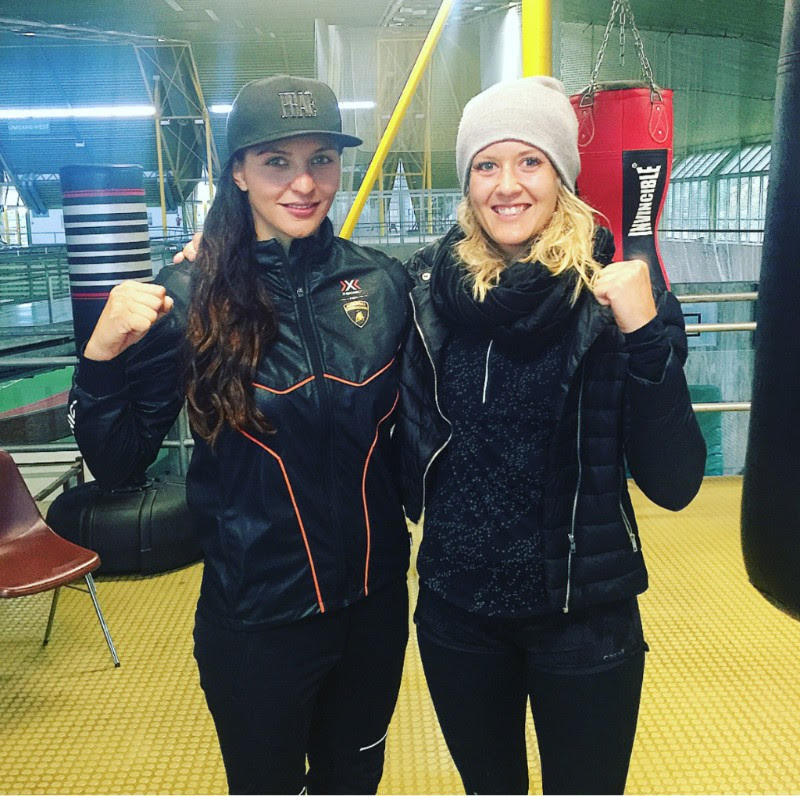 Promoter Dmitriy Salita proudly announces the signing of undefeated women’s unified world middleweight champion Christina Hammer to a multi-fight promotional contract. Already a superstar in Europe, “Lady Hammer” (22-0, 10 KOs), from Dortmund, Germany, (via Novodolinka, Kazakhstan) is the current WBC and WBO Middleweight Champion. She has also previously held the WBF Middleweight, as well as WBO and WBF Super Middleweight Championships. Under Salita’s promotional direction, Hammer will make her United States boxing debut on Friday, January 12, at the Turning Stone Resort Casino in Verona, New York, on the non-televised undercard of a ShoBox: The New Generation telecast (10 p.m. ET/PT), featuring unified Women’s Super Middleweight World Champion Claressa Shields’ WBC and IBF title defense against mandatory challenger Tori Nelson. Hammer is scheduled for a 10-round fight, highlights of which will be shown on SHOWTIME. Hammer joins the Salita Promotions roster that also includes women’s superstar, unified super middleweight champion and two-time gold medalist Claressa Shields, as well as world, European (2X) and Russian (6X) amateur champion and 2012 Olympian, Elena Savelyeva. Hammer is a technically outstanding boxer, but her outstanding physical strength is what separates her from the rest of the world’s 160-pound fighters. She was voted WBF Female Fighter of the Year in 2011 and 2013; the WBO Female Fighter of the Year in 2013; the BDB Female Boxer of the Year in 2016; the HERQUL Female Boxer of the Year in 2017 and is the only woman in Europe to earn the Diamond Ring of the WBO. In the telecast opener Uzbekistan power-puncher Shohjahon Ergashev (11-0, 11 KOs) will face fellow undefeated and top-10 ranked Sonny Fredrickson (18-0, 12 KOs) of Toledo, Ohio. In the co-feature, Jesse Hernandez (10-1, 7 KOs) will take on Ernesto Garza (9-2, 5 KOs; 1-3 WSB) in a 10-round super bantamweight bout. Did Anthony Joshua Just Fire a Diss at Deontay Wilder?